If you have concerns about your child’s speech, language or social communication skills, Speech 4 Kids can help. We offer comprehensive diagnostic and therapeutic services. 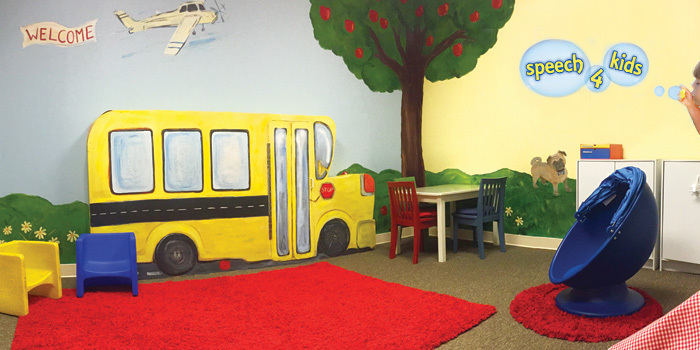 We provide the highest quality of individual and group speech, language and social communication services to children. Our ultimate goal is to facilitate successful communication through various modalities in order to meet the specific needs of each child. 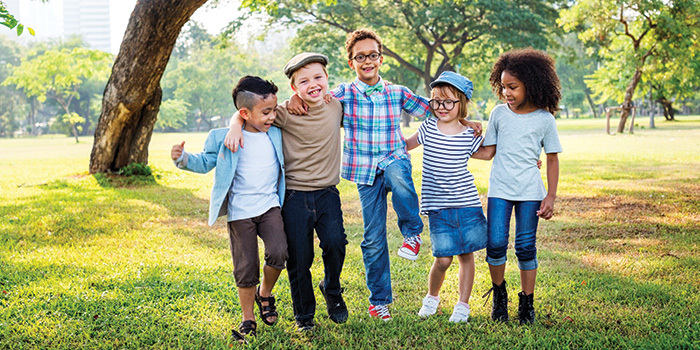 At Speech 4 Kids, we collaborate as professionals, work as a team and strive to implement the latest and most effective techniques in our treatment plans. This process and the techniques we use create a therapeutic strategy that is based on each child’s individual speech and language needs, charting a clear path to success. Play is an important aspect to language development. Language learning is an ongoing process that occurs continuously during everyday activities and especially during play. 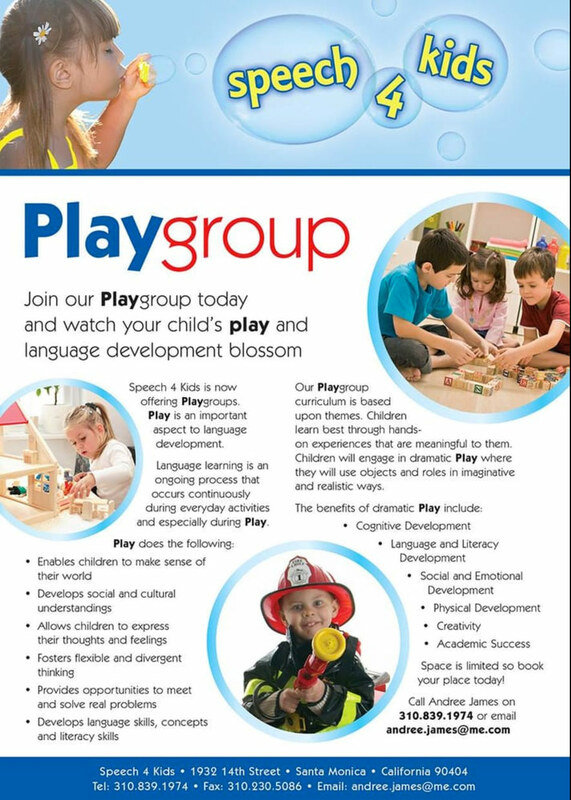 Our Playgroup curriculum allows children to engage in dramatic play where they will use objects and roles in imaginative and realistic ways.